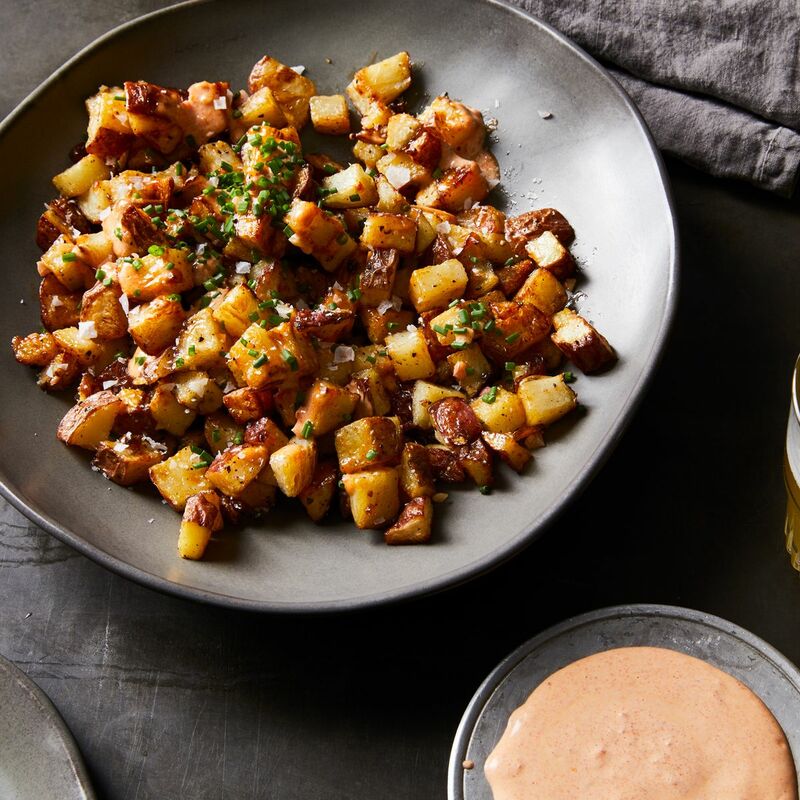 Successfully saved Molly Yeh's Roasted Potatoes with Paprika Mayo to your Calendar. You can also save the ingredients to your Grocery List. There is this one little step to getting the finest, crispiest roasted potatoes: Boiling in salty water first. It seasons the potatoes all the way through in a way that a cloak of fat and salt on a raw potato can’t. But maybe more importantly, boiling brings some of the potatoes’ gelatinized starches to the surface, so they get even crispier in the oven. Molly wisely has you make double the dressing so you can dip other things in it at a Super Bowl party, or use it to dress a salad another day (maybe this time with eggs or tuna or another friend of mayo). Of course, you can halve the dressing if you prefer. But you’ll miss it when it’s gone. Adapted slightly from Food Network's Girl Meets Farm.